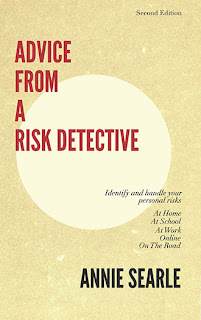 Advice From A Risk Detective: Two way question: Are you a good fit? I was charmed yesterday when I was introduced as the owner of a "boutique operational risk firm based in Seattle." During an informal discussion period, when I was asked what sized company we might consult with, I realized several things simultaneously. First, the term "critical infrastructure" does not have much meaning to most companies, so only very large companies know whether or not they are part of "our nation's critical infrastructure." Our May internal challenge is to find a better description than "critical infrastructure" for the clients we can serve. Second, most companies are so busy trying to steer through unprecedented economic pressures of the last five years that the last thing they need -- at least as they see it initially -- is to have to manage a consultant on top of fragile internal projects and employee anxiety and/or dissatisfaction . My firm tends to have only as many clients as we can handle at any given time. If we think you'd find a better fit elsewhere, we'll refer you to another company. We're not trying to set up long term contracts that stretch out our services. Instead, we're interested in helping companies find and fix their problem areas. To do this, we use both our expertise and our analytical research strengths We've laid out some of the types of situation that might bring you to our doorstep on our website. In that same section of the website, you can find some frequently asked questions. 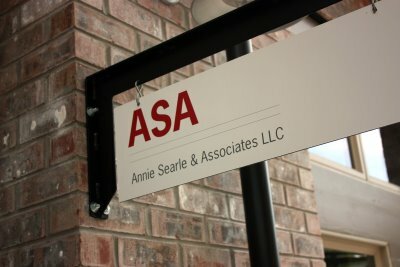 I filed ASA's articles of incorporation in May of 2009. As we move into our fifth year of business we have refined some of our services, but the commitment to the client remains the same: confidentiality and a customized approach to the program gaps we identify. If you take us on, we take your institution on. We become your "neutral third eye," with no particular stake in the ground. We don't sell hardware or software. We provide assessments with roadmaps your team can follow. We do offer recommendations on best practices your teams might adopt. And we're here if you need our help again at any time.